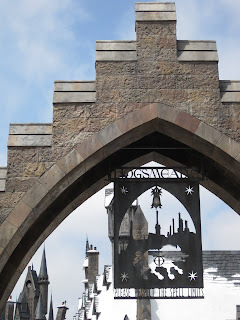 Kristin Creative: Something To Look At Sunday - Harry Potter World Photos! 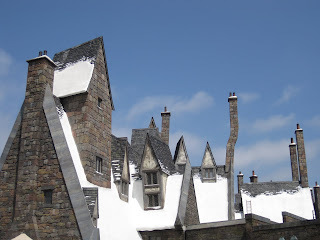 Something To Look At Sunday - Harry Potter World Photos! A few weeks ago, hubs, my dad, and I went to Orlando for some fun at the parks. We met my grandma there and had a great time (she is 71 and likes roller coasters more than I do!!). Here are a few pictures from the trip... just for funsies. 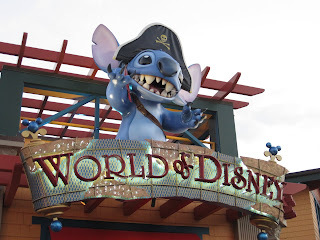 Stitch is one of my favorite Disney characters (probably because I can imitate his voice... lol). 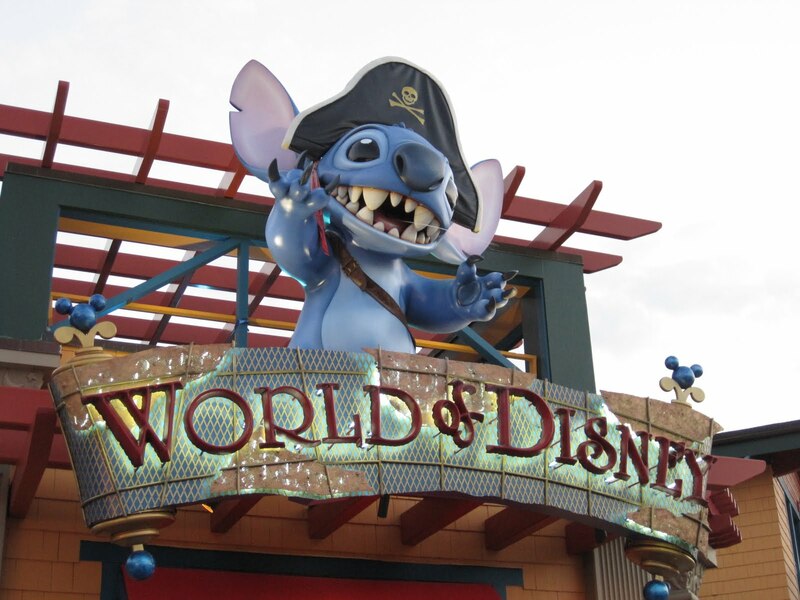 Here he sits in pirate garb on top of the largest Disney store, at Downtown Disney. He spits water out as you walk by. 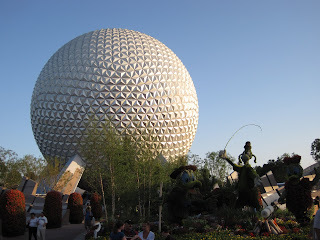 The famous ball at Disney's Epcot (our favorite Disney park). The ride inside of this thing is extremely lame, but the outside makes for interesting photos! 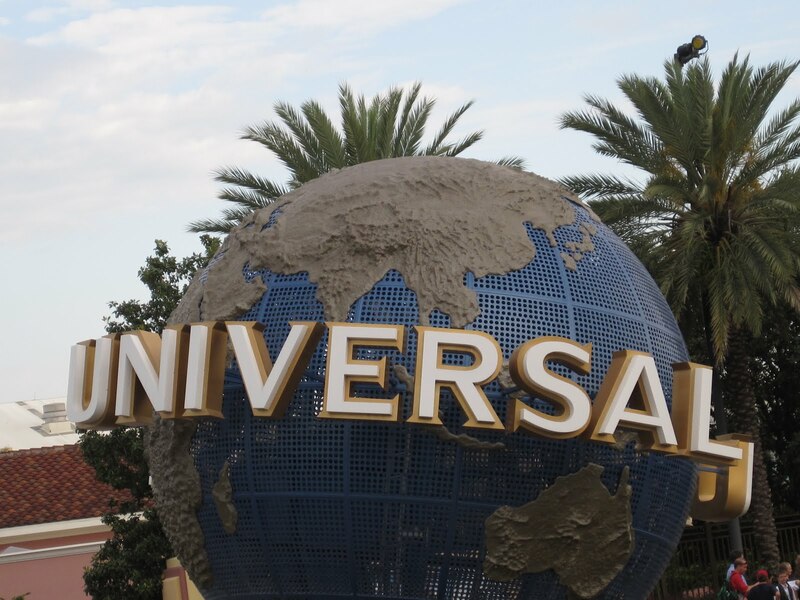 The Universal parks are the big draw to Orlando for my family. There is the original Universal Studios park, and the "newer" Islands of Adventure. 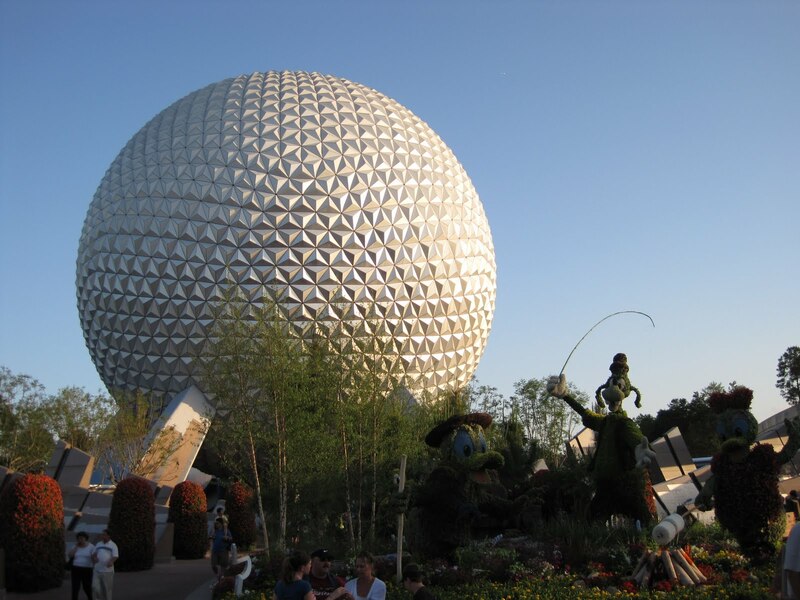 Both parks are incredible, and there seems to be something new to see every time we visit. 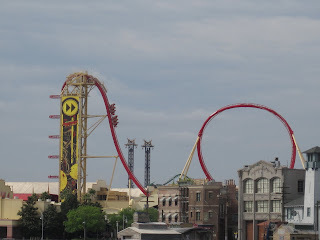 The last time I was here, this coaster, the Rip Ride Rockit, wasn't even halfway done being built yet. We actually got to watch them connect a piece of the track... amazing. Now the coaster is in full swing and it's quite the ride. That section going straight up in the air, that's where the ride starts. You are laying flat on your back until you tip over the top and zoom down. And that first loop... you start going upside down, but are quickly twisted up over the top. You get to choose a song to have blasted in your ears, and you can't help but sing along. At the end of the ride you discover you've been recorded on video the entire time. Hilarious. 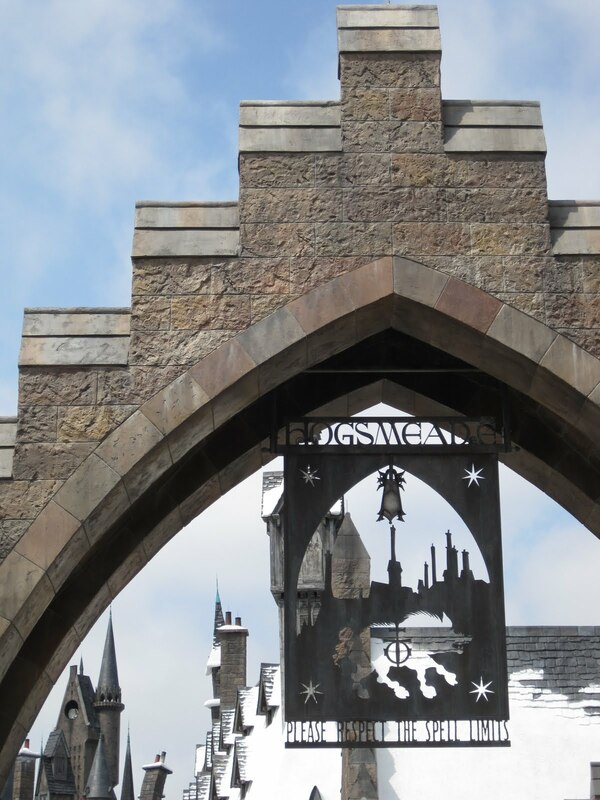 To my disappointment, the Wizarding World of Harry Potter won't open until June 18 (guess I'll have to plan another trip! ), but I did get to take some photos. 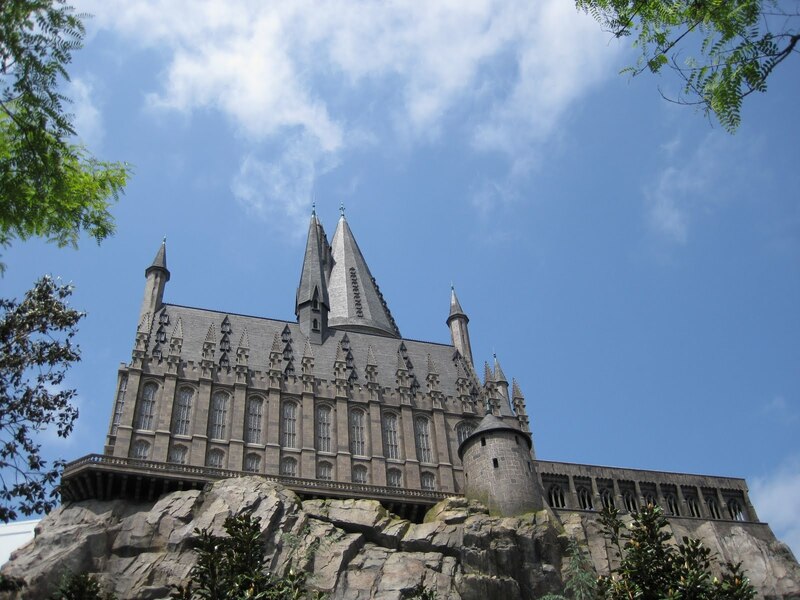 Here is Hogwarts Castle, which houses the super secret new attraction. I can't wait to learn what it is. Another view of Hogwarts. Seriously... there's no way to describe to you how massive this structure is. You can see it from the City Walk before you even enter the park. Here is a photo of Hogsmeade. It's incredible to see a villiage so near and dear to our reader hearts come to life. Absolutely amazing. The snow even glistens in the sunlight!!! Here is evidence that it's still under construction. Sigh. Anyway, I hope you enjoyed the glimpse into the upcoming attraction! I can't wait for it to open! OMG you made my day! 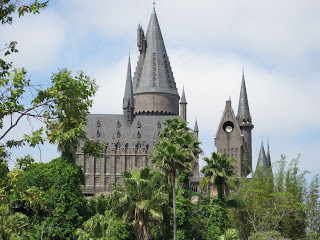 I saw Harry Potter world and stopped in my tracks! I hadn't planned on commenting on anyone's blogs but this was a must!!! How exciting! What a bummer you couldn't go yet! The hubs and I are planning a trip for next year! I'm very excited! OH THIS IS SO AMAZING. Hogwarts! I'd love love to go there. It's terrible you couldn't go yet, but hopefully you'll get a chance to go! Hi there! 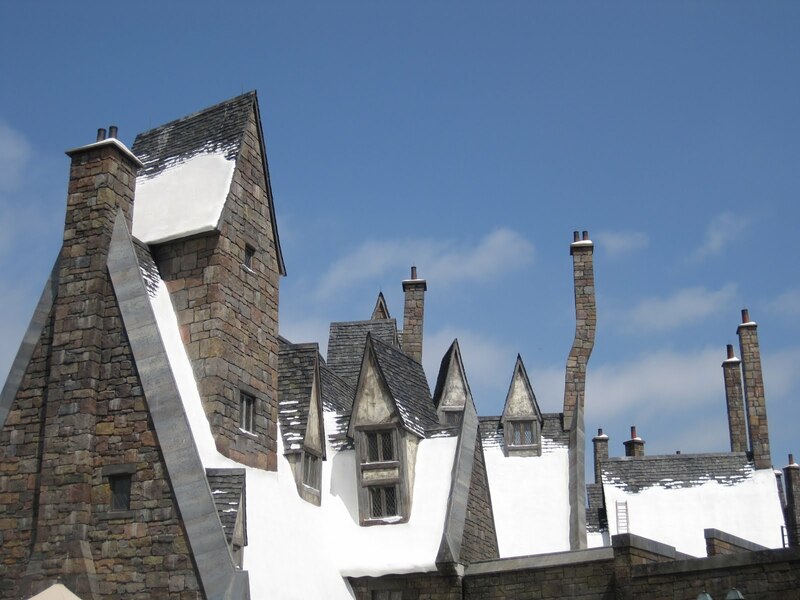 I just found your blog from Tory Minus's site and had to post on the Harry Potter Wizarding World. We have at trip booked there in August and I can't wait! If I don't die of heat, that is. My three kids are HUGE Harry Potter fans and it looks simply amazing. Thanks for the advance pics - I'll post on my blog pictures of the interior after we go there! My wife is already starting to plan a trip for next year. Disney + Harry Potter in the same city = irresistable!!! I gotta go!!! 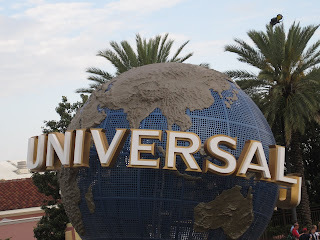 I love the Universal Parks - Island of Adventure is my most favorite in the world!!! 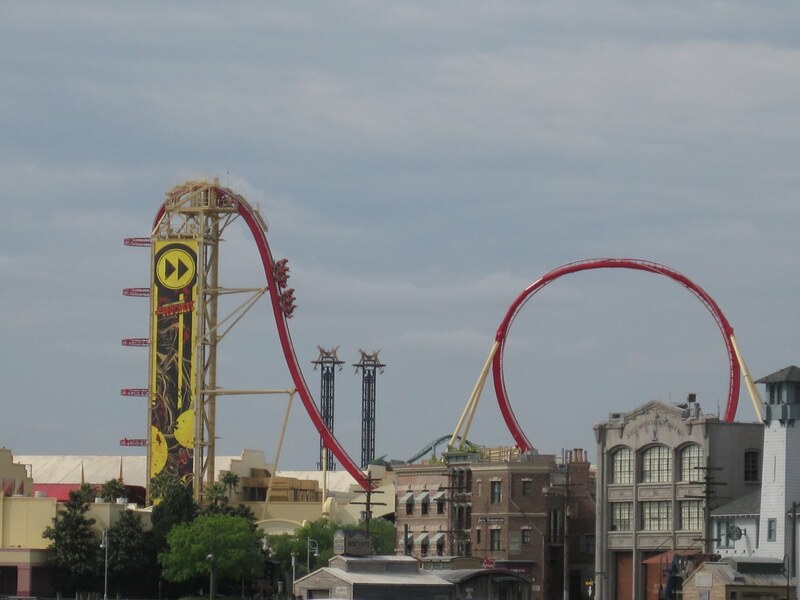 And that is awesome you saw that coaster under actual construction last time. I haven't been to an Orlando park in 19 years, but I definitely want to check out the Harry Potter world. It looks so amazing!!! 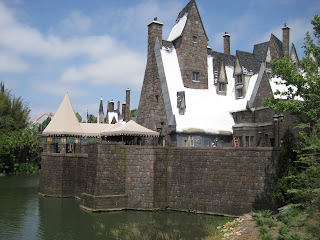 I have a friend who works for Disney who got to test-drive Hogsmeade, and she loved it! That looks like it must have been so much fun to visit. Thanks for the pics! Great pictures, Kristin. I hope you're having a great weekend!! OH WOW!!! how fantastic! I knew my sister had been telling me stuff about it but it looks EVEN better than i could have pictured! Thank you for that! I LOVE that your gma is totally into roller coasters! I am definitely a BIG fan!! Awesome pics! 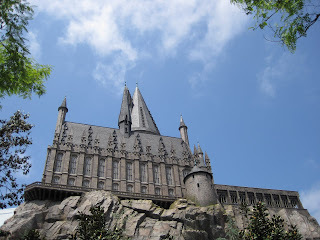 I want to go to the Harry Potter theme park SO BAD!!! My husband asked me if I want to buy a house more or to go to this park. I admit I'm still trying to make up my mind which one I want more, LOL!